I love having pretty painted nails but I don’t have the time, nor the desire, to go to the salon to get them painted every week and when I paint them myself, they are smudged in the first two minutes. Then gel polish came out and that was fantastic because it would last up to two weeks without chipping. However, the polish and baking it under the UV light did a number on my nails! My once healthy nails turned into weak, peeling nails with ridges in them. In order to get them healthy again, I did a detox from the gel nail polish for a number of months. They did get back to the healthy nails they once were and I want to keep them that way! Flipping through a magazine one day, I found an ad for Dior Gel Coat that claims to transform your normal nail polish into a salon like, gel finish with one coat…no baking required! I had to try it! I started with my base coat/nail treatment then applied two coats of polish, which I let fully dry per the instructions. Let me stress the importance of this step! The first time I used the Dior Gel Coat, I didn’t let the color coats dry all the way, even though it said to (I’m so impatient), and it was not pretty. However, once I actually followed the directions, I was amazed! 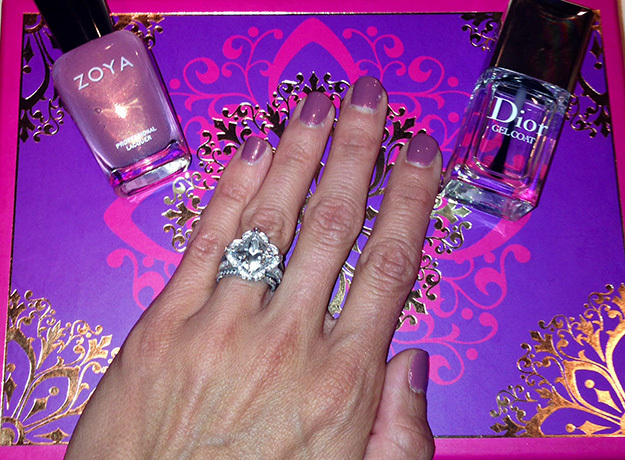 The gel coat transformed my regular nail polish into a salon quality mani! It was super shiny and thick just like when you get the professional one and very chip resistant! I’m only on day five but I am super impressed! An application note is to make sure the tips are thoroughly coated in the top coat because that is the one area I noticed chipped a bit the first time I did it. The second time I tried it, I ran the product over the tip first and then did the top of my nail and didn’t have any problems. Also, when it’s time to remove the polish, there is no need to sit with your nails soaking in acetone and then filing it off. With this product, you can easily take off your polish with acetone remover. The one con of this product is the cost. It’s $25. However, I opted for this over other products out there (such as the ones where you need to buy their gel polish and gel top coat) because the Dior Gel Coat works with any of your regular nail polishes so I figured, in the long run, it was more cost effective. 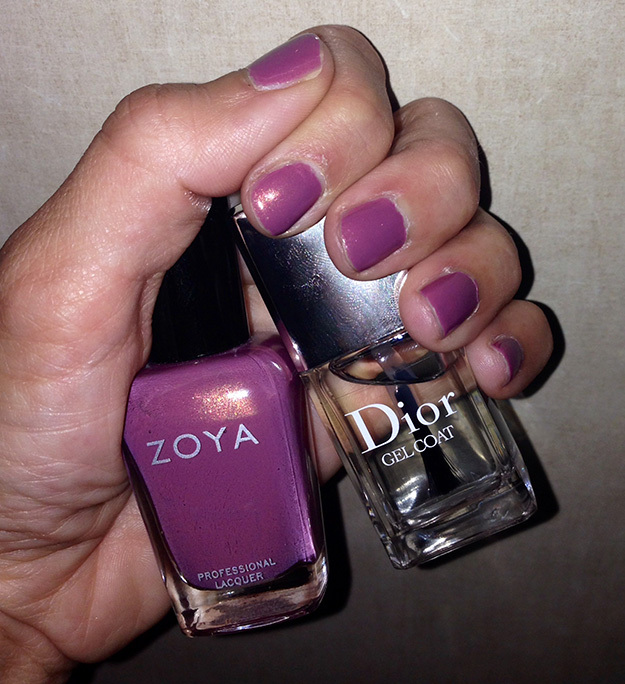 The nail color featured is called Charity by Zoya. I think this mauve(y) color is the perfect fall transitional color because I am over the bright pinks of summer but not ready to dive into the darker colors of fall, like plum, olive and gray, just yet!